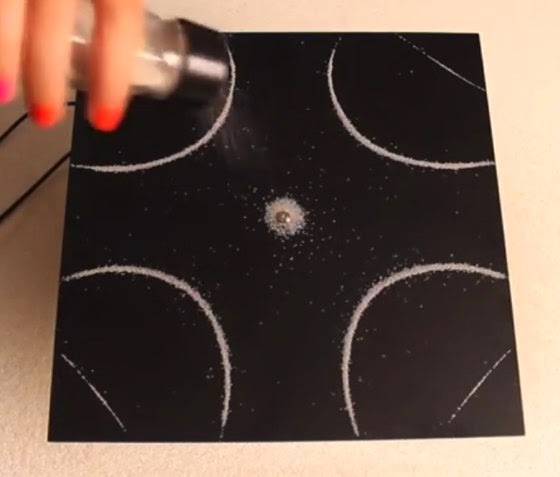 Today I present this video you can find with the original sound at this link, posted by Brusspup (youtube.com/brusspup). 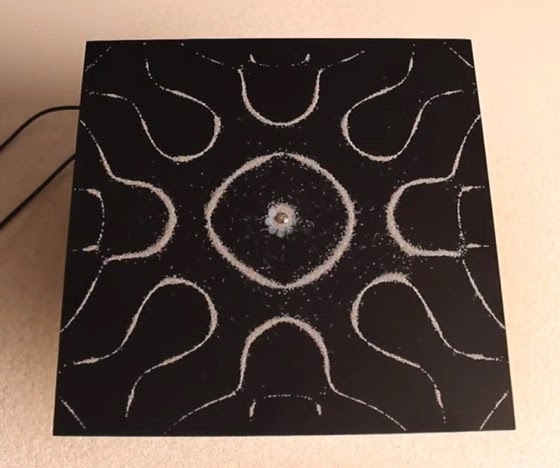 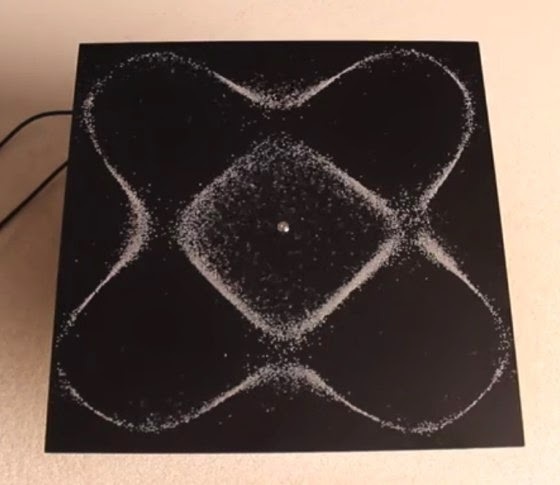 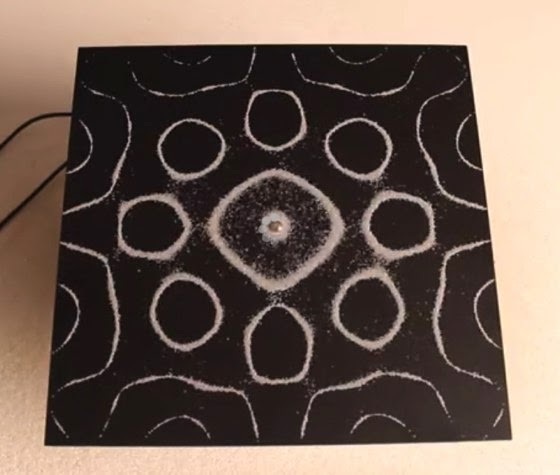 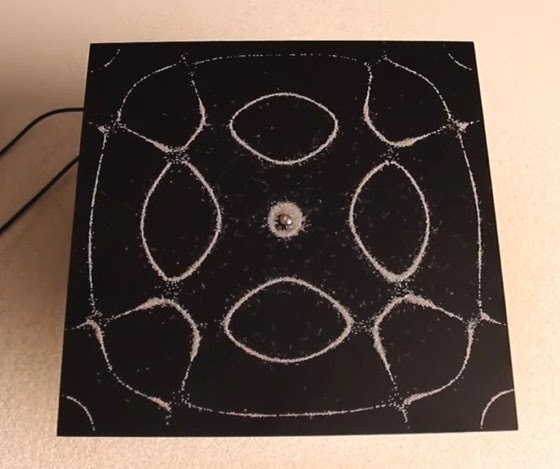 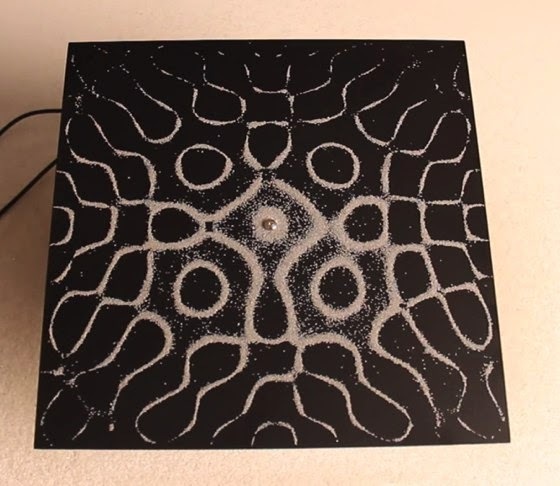 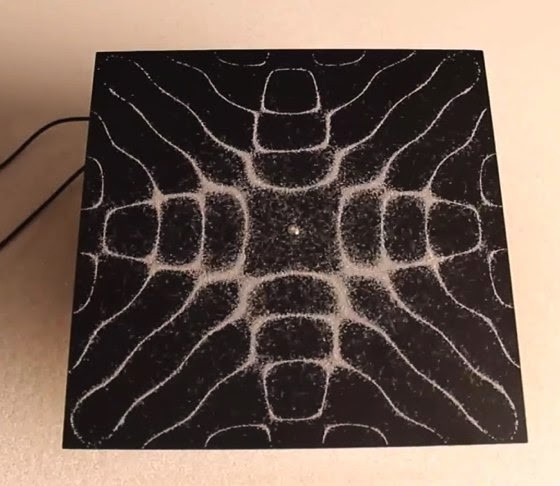 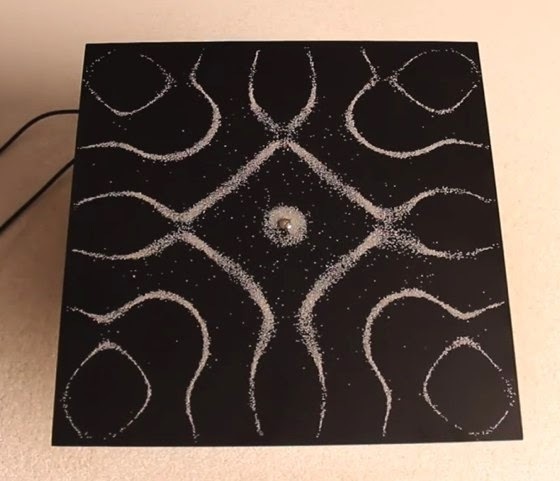 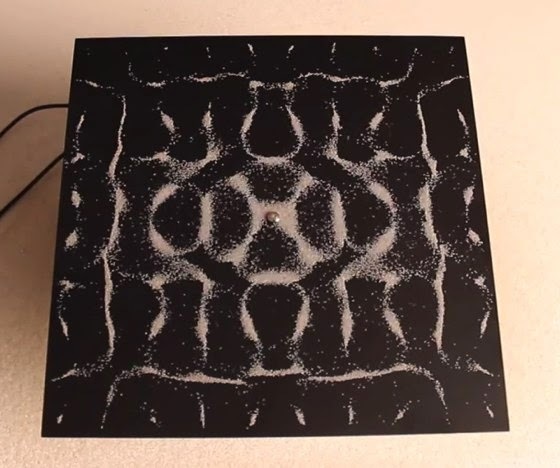 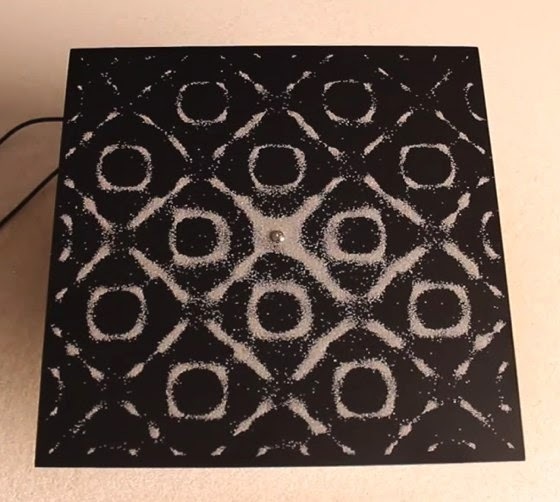 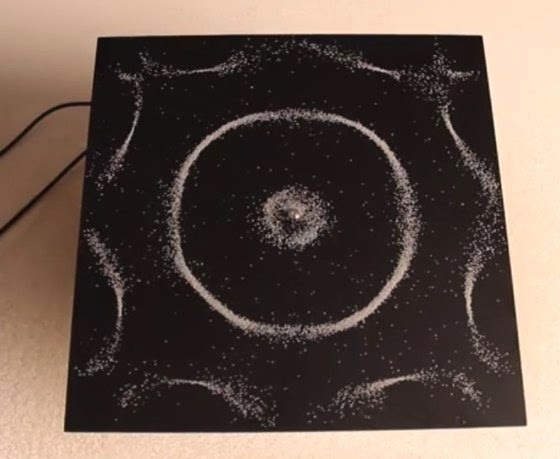 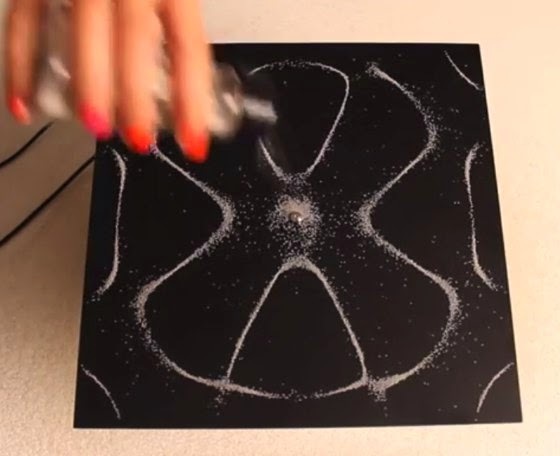 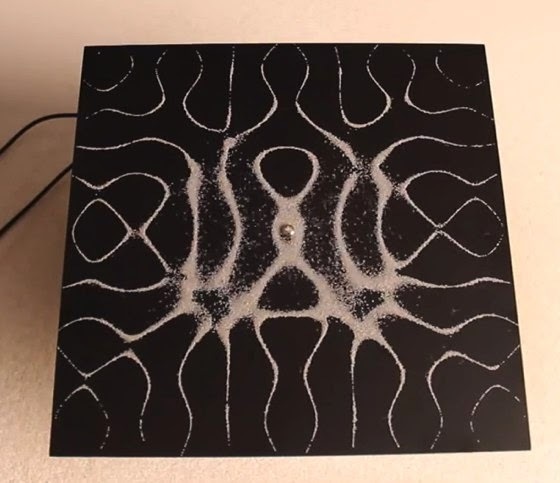 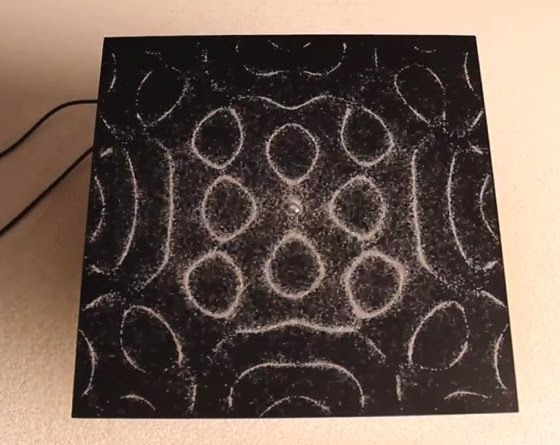 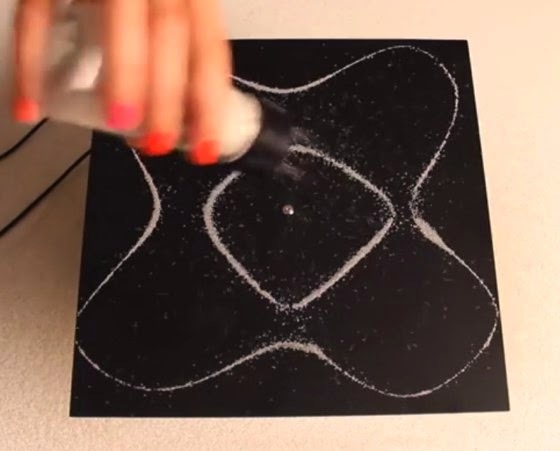 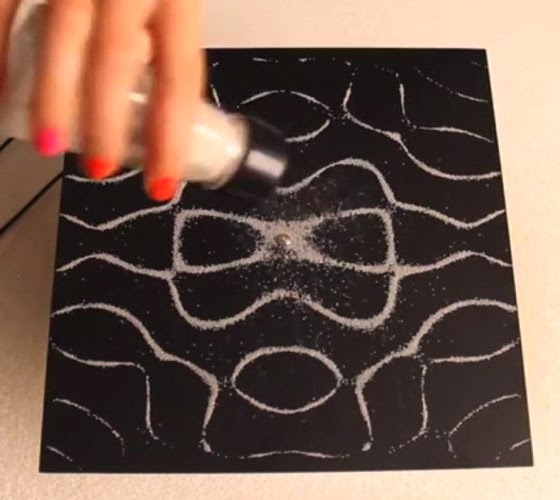 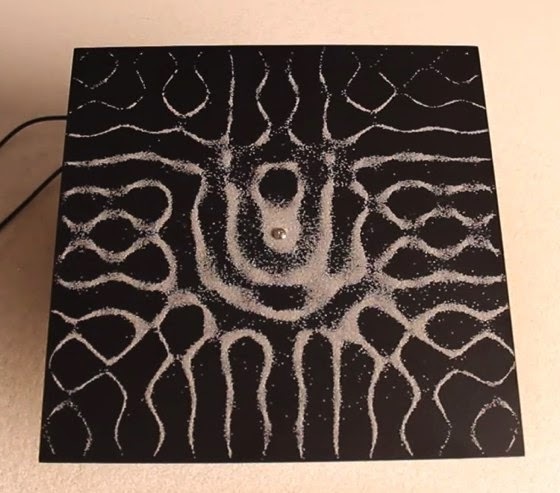 In this science experiment are transmitted different acoustic frequencies, and the sand placed on a metal plate is moving, creating unexpected and wonderful patterns! 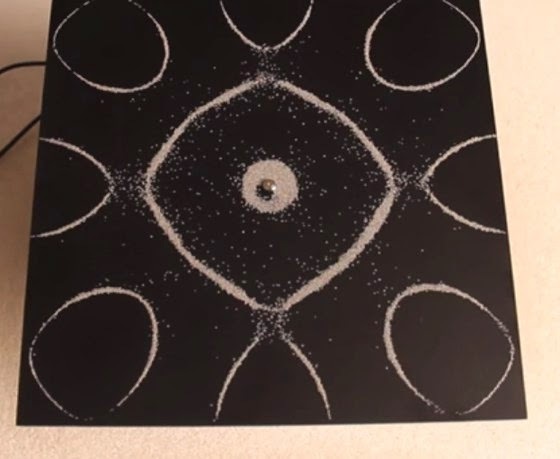 Here are some screenshots of this fantastic video.